Desexing of cats is a routine procedure carried out on a daily basis at the clinic. Cats stay with us for the day, have surgery and long acting pain relief, and then go home the same afternoon with some after-care information. Below is some information about desexing. If you have any further questions, please don't hesitate to call us. Desexed cats may grow slightly taller than non-desexed cats. →What age should I get my cat desexed? Three to five months old is the best time. This is because the benefits of desexing are greater if we desex them before they reach sexual maturity. Desexing before 5 months old is also important to prevent unwanted pregnancy. Cats that have been used for breeding should be desexed as soon as they are no longer being used for breeding. →What is Involved in the Desexing Surgery? Females: Surgery involves opening the abdomen and removing the ovaries and uterus. The wound is then closed in multiple layers of stitches. Surgery for females is more complex so it requires a longer anaesthetic and longer surgery time. 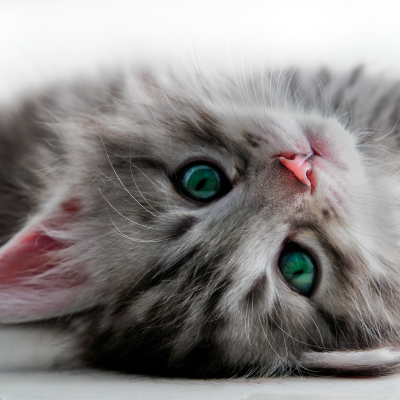 For this reason, recovery from surgery is generally slower for females than males; however, most cats are back to normal within 12 hours of surgery. Free wound checks are available post-surgery and stitches are removed 10-14 days after surgery. Males: The skin of the scrotum is opened over each testicle and the testicles are then surgically removed. The wound is very small and is left open to drain. Free wound checks are available post-surgery.